The crowdfunding phenomenon has democratized the process of backing a project. Now innovators, creative-types and big-thinkers can market their idea to the world and get the people to send money to make their dreams a reality. From the very outset, Kickstarter has been the premier launch-pad for projects ranging from individuals who want to go on an adventure and write a book about it, to people developing highly useful and practical solutions to everyday problems. It's an exciting, potentially ground-breaking and vibrant world full of people with big ideas. Keep your chin up. Nuviz has a solution. What is it? 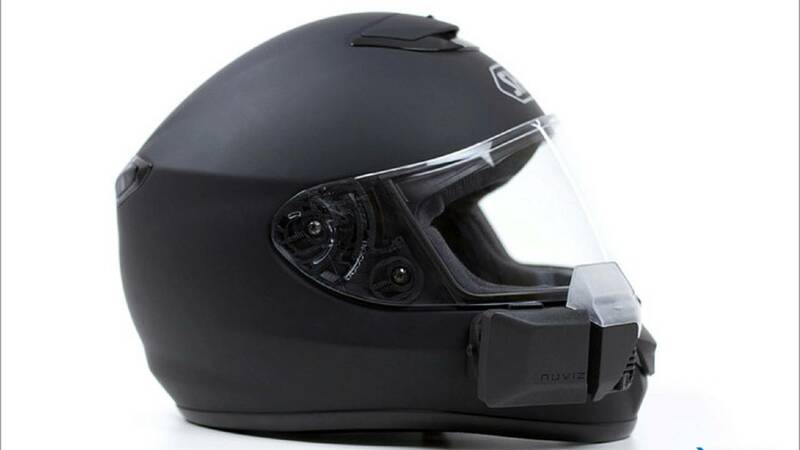 : A new externally-mounted HUD display for your helmet that can display everything from navigation directions and telemetry to race-related data and weather forecasts. It can also record video and take photographs. Why it’s cool: A HUD is one of the best ways to read relevant information while riding. It projects the image into the distance and as a result your eyes do not have to bounce back and forth between looking at the road and looking at the display. What’s not so great: The price. The Early-Bird Special to get a Nuviz HUD is $479, with the dollars continuing to go up from there. The video quality is not up to GoPro standards but the other features makes up for it. Conclusion: This is one to watch. A super leggy pit-bike for the urban jungle. What is it? : A do-it-yourself kit to build a 50cc+ motorized bicycle from custom and standard downhill mountain-bike parts. They look fantastic, offer lightweight and nimble performance, and the plan is to sell partial kits starting at $599 and complete kits starting at $1500 sans motor. 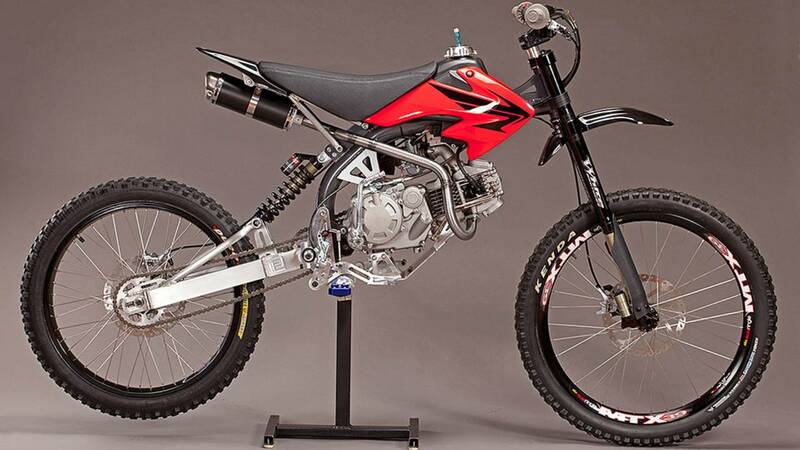 We’d go for the kits with the Marzocchi suspension that have been custom tuned for MotoPeds. Additionally, the flexibility to source your own engine is great for tinkerers who want to build something faster than the norm. 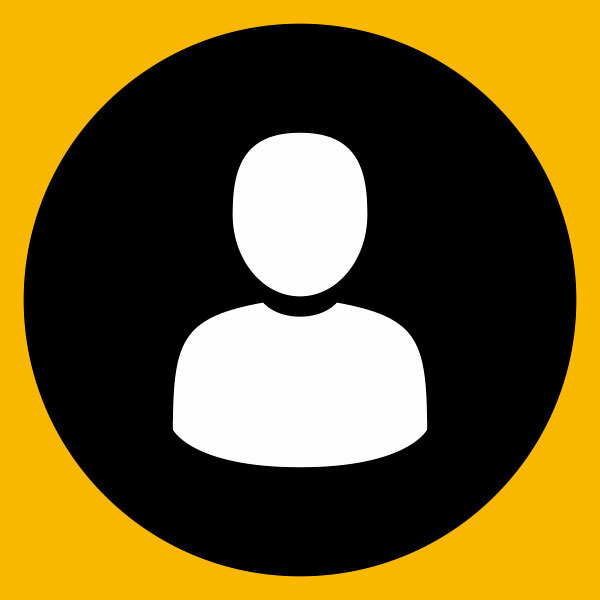 Why it’s cool: For one, it theoretically does not have to be registered for the street. So you can ride it in the bike lane, park it on the sidewalk and generally take it places where motorcycles and scooters are restricted. 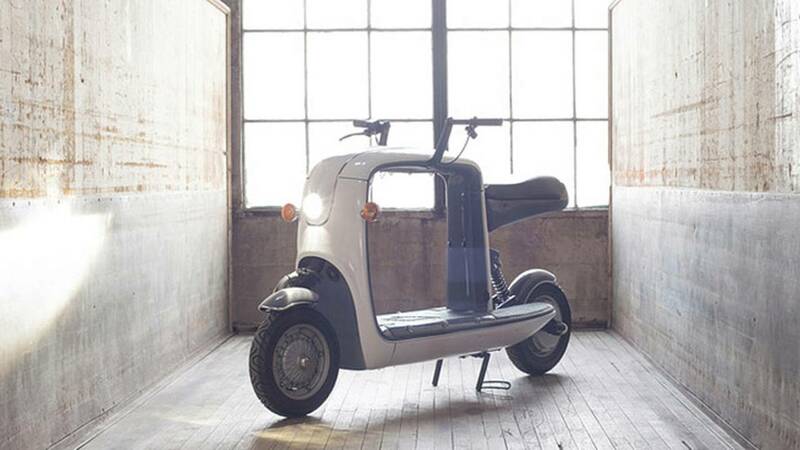 It also has the potential to get fantastic mileage (100+), making it a superb option for those looking for something with a bit more charisma than a typical gas or electric scooter. Finally, it’s a neat project that kids and adults can work on together. What’s not so great: The current design, although robust-looking, perhaps lacks some practicality for carrying luggage and possibly a passenger. Although, with only 50cc, your passenger will have to be quite petite. The price can either be a plus or a minus, depending on your perspective. 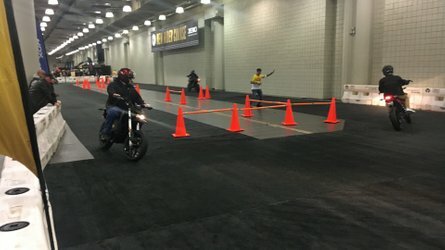 For the near $2k+ it will cost to build a complete MotoPed, you can easily source a well-maintained scooter or motorcycle on your local Craigslist. That said, neither the scooter nor the motorcycle can be ridden legally in bike lanes, locked up against parking meters or quietly pedaled onto campus and parked right up next to the lecture hall for an 8 am Physics 100A class. Conclusion: If you have the green, its a fun project. The Lit Motors kubo is designed to be the ultimate urban utility vehicle. 3. KUBO: An electric scooter like none-other. Is this the most practical vehicle for the city? What is it? : An electric scooter with amazing carrying capacity (22’’ square cargo area with 300lbs capacity). The other features read like a veritable all-stars lineup when it comes to practical 2-wheeled motorized transportation: a lockable compartment under the seat, 50 miles of theoretical range, a 45 mph top-speed, adjustable seat-height, built-in charger, and to top it off, it’s designed and manufactured in San Francisco. Why it’s cool? : Imagine the most practical and effective vehicle for an urban environment and you’ll come up with something almost exactly like the Kubo. The ability to carry so many different kinds of loads using the various hooks, straps and nets makes it the ideal every-day vehicle for going to school, work, the gym, the grocers and even the laundromat. What’s not so great: With 16-days to go, Lit Motors is still very far from their goal of raising $300,000. The problem is is that the deliverables below the $5000 pledge are not attractive enough and the $5000 pledge is a large amount to throw down on so early in the game. That said, Lit Motors is one of the most creative and innovative start-up companies in the electric vehicles market. Their other project, the C1, has huge mass-market potential and incorporates the same attention to conceptual and practical creativity that the Kubo demonstrates. Conclusion: If it does not get funded right away, we are sure it will be in the future. I've got eyes on the back of my...bike. What is it? : An integrated rear-view camera, cyclometer, GPS tracker, taillight and accident recorder for your bicycle. There are features on this device that could make it an excellent motorcycle accessory with a few modifications. 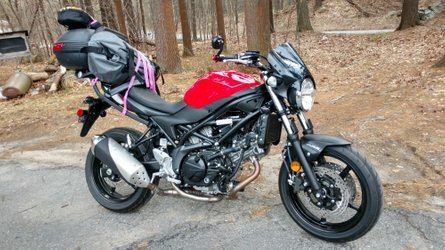 Why it’s cool: A large LCD screen to keep an eye on your rear would be a welcome addition to the current two-mirror setup that most motorcycles have. 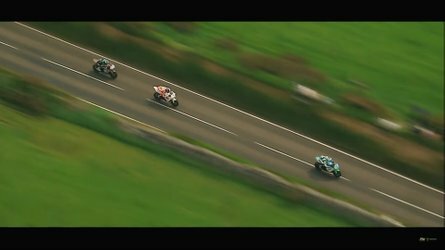 The addition of a 5-minute recording loop as well as accident recording are a huge plus for motorcyclists. Finally, if the the telemetry component can be tuned for parameters that are more suitable for motorcyclists, this thing could be a excellent alternative for those eschewing the HUD approach. 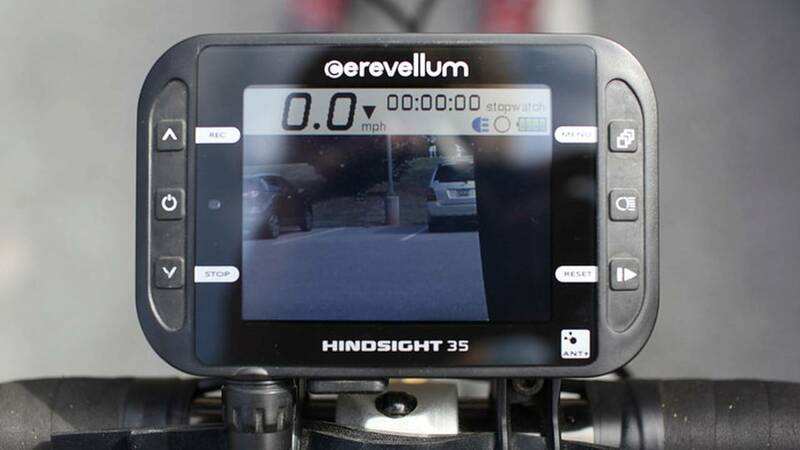 What’s not so great: Other than the cyclo-centricity of the gadget, it is also relatively expensive and does not offer the added value of the Nuviz HUD with it's radio, video recording, turn-by-turn navigation and other features. Additionally, the rear-view and accident recording functions could potentially be handled by an inexpensive auxiliary rear view camera transmitting to your smartphone. Your smartphone's accelerometers could also take the place of the Cerevellum's own accelerometers for the accident recording "black box" function. 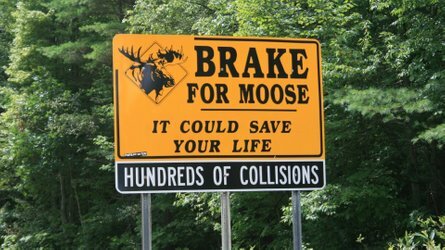 This would make for a cheaper, more moto-friendly product. 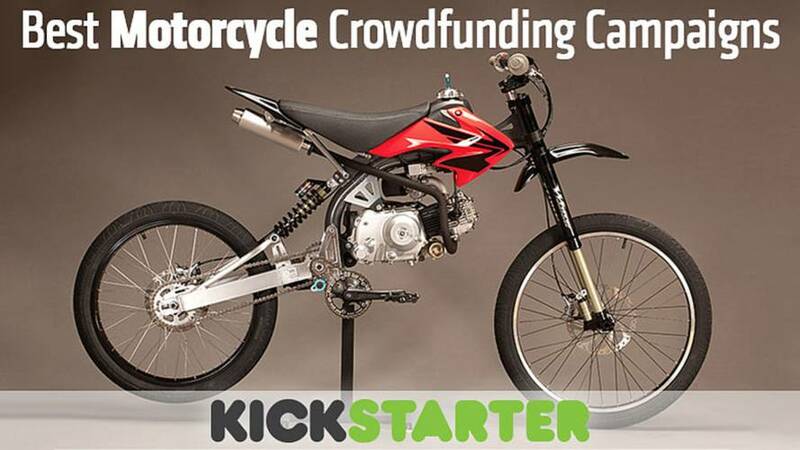 What other crowdfunding campaigns you are excited about?